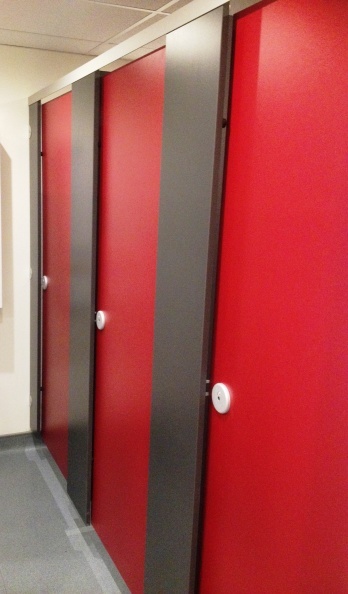 Utilising compact solid grade laminate and is suited to applications where the panelling is at risk from harsh environmental factors or abuse by users. Vandal resistant fittings are provided in aluminium or stainless steel as standard to compliment the smooth radius black core edges. This range is suitable for use in humid areas (i.e. Showers, swimming baths or leisure centres) and harsh environments such as industrial and public areas vulnerable to vandalism. 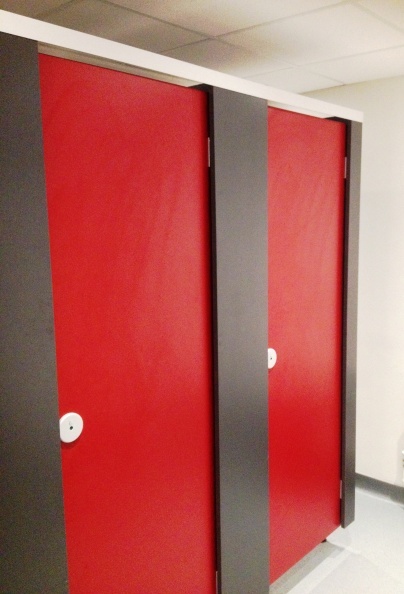 Bespoke powder coated hardware finishes available at an additional cost. 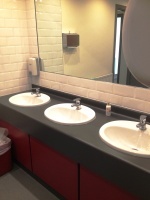 Wall & duct panelling and fully framed vanity units can be supplied to complement this system. The Mariner range is available on a typical delivery period of 2-3 weeks from receipt of approved drawings and confirmation of all colour finishes. Installation by Excelsior is strongly recommended but not essential as a full set of fixing instructions and technical information is provided with the system.